—Linda Reinstein, Asbestos Disease Awareness OrganizationConducted by the Asbestos Disease Awareness Organization (ADAO) and Environmental Working Group (EWG), the analysis found that “the U.S. imported more than 341 metric tons of asbestos” last year, with imports expected to double in 2018 thanks to the Trump administration’s aggressive and deeply harmful deregulatory agenda. 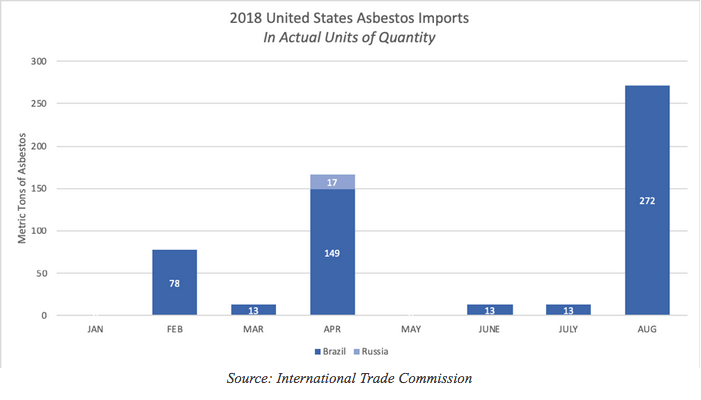 But as environmentalists raise alarm that the Trump administration is actively facilitating the importation and use of asbestos even in the face of its devastating health effects, asbestos producers are ecstatic at the White House’s lax stance toward the carcinogenic mineral. 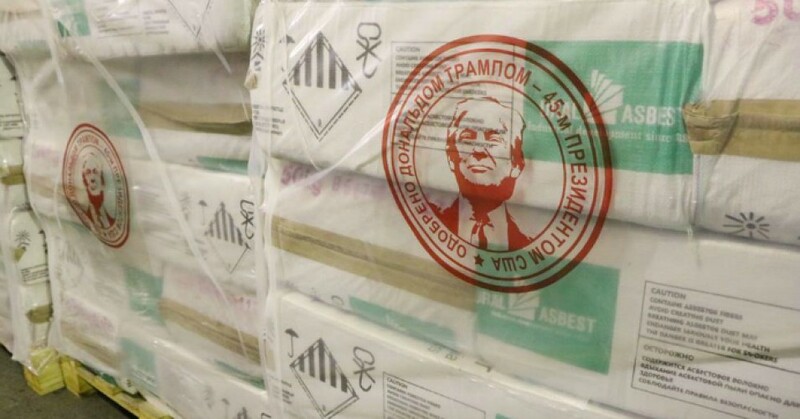 “Donald is on our side!” Uralasbest—Russia’s largest asbestos producer—declared in a July Facebook post, which was accompanied by photos showing pallets of asbestos products with Trump’s face stamped on the packaging as a seal of approval. “Approved by Donald Trump, 45th President of the United States,” the seal read. As a real estate developer, Trump was quite vocal about belief that asbestos is “100 percent safe,” despite the global medical consensus that the mineral is dangerous and should be banned.